• Understanding the VTP protocol. Would you like to be earning more In 3 months time? Imagine this, in 3 months from now, you could be the proud bearer of the coveted Cisco CCNA Routing and Switching certification which will open many doors allowing you to earn up to £50,000 per year. Unlike other training organisations which focus only on passing the CCNA R&S exam we also pay close attention to hands-on skills with our laser-like focus on practical labs which have evolved over the last decade into world-beating manuals which will take you from zero to hero so that you can gain the CCNA R&S certification and also to acquire all the skills you will need to walk straight into a £45,000 job. Commsupport CCNA course is recognized by students, employers and even our competitors acknowledge (grudgingly) that our courses are very hard to emulate never mind beat. So what’s the catch, why is the course free, how you making money? This CCNA Routing & Switching course will allow you to master core IPv4 and IPv6 technologies, LAN switching, and a multitude of infrastructure essentials such as services, security, and management. Our Cisco CCNA training course will take you from the very start of networking all the way through the various complex switching and routing protocols. During the CCNA training course, you will learn all about how to design, configure and install routers and switches for small to medium size enterprises. All labs have been developed in-house throughout years of running this course and these are the focal point of our training programme. Would you like to practice what you have learnt? We are the only technical training company focusing not only on passing the Cisco CCNA exam but also focusing on ensuring that all our students are put through their paces with our unique comprehensive CCNA Training course Lab manuals and classroom technical practical exercises. Our CCNA Training course lab manuals are a product of nearly 10 years of continuous development. Our CCNA Training course lab manuals are responsible for creating great network engineers. 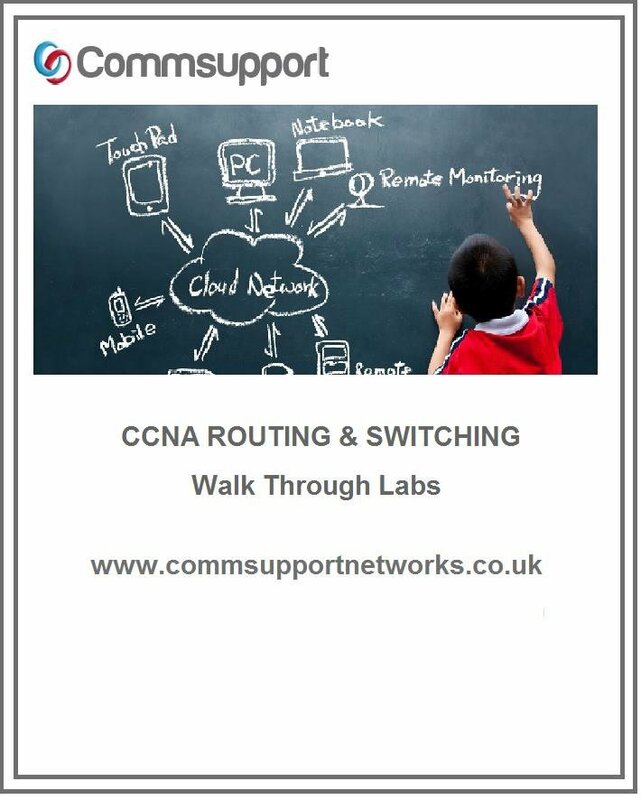 Contact us for a sample of one of our CCNA Training course labs. Your Instructor-led CCNA Training course Is RECORDED from start to finish, that’s right from the first to last, every word and every example and every piece of configuration is recorded in real time just for you, at the end of your course you will have access to the recordings of the class you just attended. We were the first and are the only Cisco CCNA Full Course training company in the world which does this. The Recorded videos are available here. Attending our Live On-line sessions may not always be enough, we will show you how you can practice all the examples seen in the lectures using free to download Cisco Simulators which emulate Cisco Command line, so no need to worry about purchasing physical equipment. Who is CCNA Training course for?